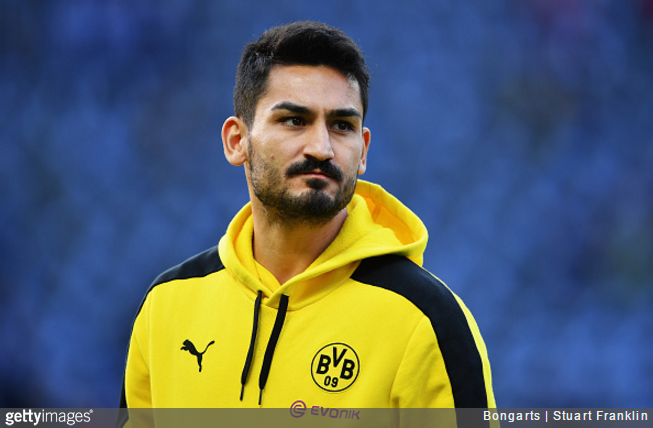 Manchester City have made the first signing of Pep Guardiola’s tenure, parting with around £20million to bring in Ilkay Gundogan from Borussia Dortmund. City made the signing official this morning with the club confirming that the German midfielder has agreed a four-year contract – though not before he had to force the issue with his new employers! Gundogan is currently sidelined with a rather nasty dislocated kneecap that will see him miss Euro 2016 and at a least a large portion of City’s pre-season schedule. Regardless, it’s better to pay the money now and bring him in, crocked or otherwise, as he’s a hell of a player when fit. Only 25 too. A lovely little coup for City. The first of many this summer, we suspect. How cringeworthy is that Twitter ‘exchange’? Jesus wept. Talk about small-time. Spoiler: This man is a knobhead. Hachel quite rightly pointed out that too much money is involved in city’s transfers. City’s money might be helpful to sign the right players for winning the CL. However, this is not what these players have in mind when joining the club. Imo the only motive for joining city is short-term financial success. And now who is interested in milking the cash cow the most? Correct, greedy immature boys like wee ilkay.